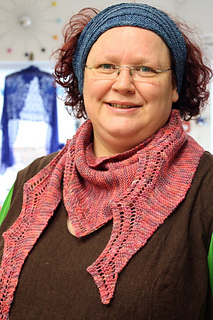 Menten is a long shallow triangular scarf which is knit lengthways in garter stitch, with a simple lace edge. 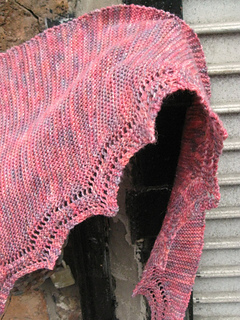 It will show off a variegated or self-striping yarn, any weight from 4-ply to aran. Use needles that give a fabric you like - I’d suggest using needles one or two sizes larger than normal for your yarn. 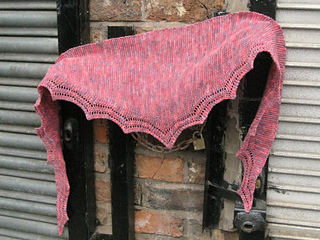 I used 1 skein (100g/344 m) of Arauacania Ranco Multy shade 337 & 3.25 mm needles. Named after Canadian biochemist Maud Leonora Menten.